On her way home from a business trip, Janice remembers that she needs to buy each of her three children a souvenir. At the airport shop, the only items left are two hats, two t-shirts, two posters, and two keychains. How many combinations can she select from if she wants each child to receive a different item? So you're assuming there is 2 different t shirts, 2 different key chains, 2 different posters and 2 different hats? I agree with your solution if that is the case. I assumed they were the same there there are 4 ways to select item 1, 3 ways to select item 2 and 2 ways to select item 3. Or 4X3X2 or 24. I think Veritas should be clearer on if they mean 2 different items or not. There questions are getting a lot **** as I move through the practice tests. Why the hell not right 2 different hats, 2 different posters. I don't get how the whole question is writing poorly. I guess that's just a GMAT quirk that I'll remember. I read the items as being the same and found that to be the difficulty of the question. If you told me you had 2 baseballs, I'd assume they were the same baseball and wouldn't need you to tell me you had 2 identical baseballs. I really see no logic in the GMAT thinking it's necessary to say when things are identical but not to say when things are different. 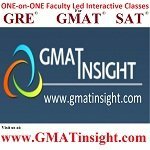 That's an esoteric logic system and I believe has only shown up on Veritas not the GMAT itself.